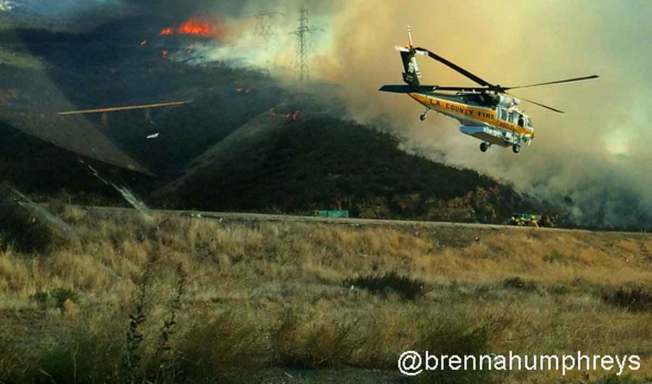 A Los Angeles County Fire Department helicopter at the scene of a fire north of Los Angeles Friday Oct. 9, 2015. At least two lanes are closed for a brush fire burning of the 5 Freeway in northern Los Angeles County. 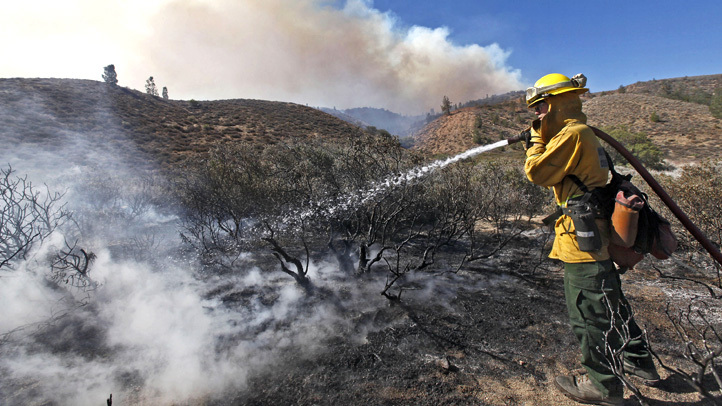 The 5-acre fire was reported near Templin Highway at midday. No sturctures are threatened, but traffic backed up on the northbound freeway as firefighters responded to the site. Check here for updates on this story.